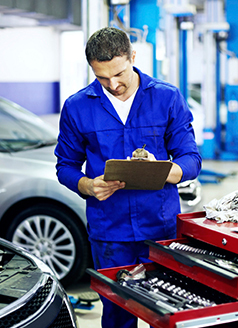 Is it time for a car repair or auto service in Northumberland? Be sure to check out our specials listed below. If you have any question, feel free to contact us, or if you are ready to schedule an appointment with for auto repair or car service in Northumberland, click here. However, if you are leaning towards performing your own auto service, visit our Parts Center and the Subaru auto parts from Northumberland you need. Does not include PA Emissions Test. *State sticker fee additional. All makes and models. Plus tax. Valid only at W&L Subaru. Please present coupon when service order is written. One coupon per customer and visit. May not be combined with other coupons, discounts, and advertised specials.